Standing at the current position of the Shanghai Composite Index at 2,618 points, we are inclined to continue the A-share “inciting market”, but the process of index operation may be relatively tortuous, and the index will pick up the “two sessions” in advance. The high level is subject to the decline of fundamentals (corporate profit). In investment strategy, we do not recommend chasing up and increasing positions when the index is high. Specifically, the factors that can gradually boost the market risk appetite in the following stages: 1) Sino-US trade negotiations are expected to be phased out; 2) the Fed is still “pigeon”, and the market is concerned about when the Fed stops raising interest rates; 3) 2 In the month, the inter-bank funds were abundant; 4) The “Central Committee” was convened, and the expected growth of “stable growth and strong reform”. At the same time, in the stage of the above-mentioned events to boost risk appetite, corporate earnings decline (economic fundamentals are colder) will become a constraint for the A-share index to break through. Core conclusions:Since the end of 118, US stocks have led the global stock market to shake up, and are now facing the fundamental test. Since the end of January, the internal differentiation of US stocks and European stocks and US stocks have all originated from fundamental differences. The 2A-share strategy is optimistic, and the bottom of the policy has already appeared. With reference to the history, the confirmation of the market bottom needs to be partially stabilized by the five leading indicators. After the market is shaken, it is still necessary to look at the fundamentals. 3 The capital attribute determines the tactical strategy. Foreign capital and domestic capital are different. The high dividend strategy is actively waiting. The growth needs to wait for 19 years. The Q1 performance is clear, and the theme is optimistic about the integration of the Yangtze River Delta. From the perspective of investment strategy, China's economy will continue to decline in 2019 and gradually transform. The gradual decline in credit interest rates is the main line of investment throughout the year. We maintain our judgment of narrow fluctuations at the bottom of 2019 and expect to gradually increase in the 3-4 quarters. From the market performance from December 2018 to January 2019, growth, consumption, and financial real estate rose in turn, in line with the annual strategic report. Therefore, after the Spring Festival in February 2019, we continue to advise investors to adhere to and lay down investment opportunities in the credit rate downside, continue to be optimistic about the growth segment represented by communications (5G), computers and electronics, optimistic about the financial high dividend sector represented by brokers. . Science and technology, regional integration and advanced manufacturing are the continuing themes of 2019. In general, the shocks waited in February. On the economic front, the situation of spring start-up in March determines the nature of the economic downturn. It is necessary to judge the peak season from two angles. One is the high-frequency price change of the cyclical products, and the other is the grassroots investigation and observation. The behavior of the government and enterprises; the liquidity level focuses on the stabilization of the growth rate of the social welfare. The stability of the social welfare depends on the volume of credit in the table on the one hand, and the slowdown of the off-balance sheet on the other hand. 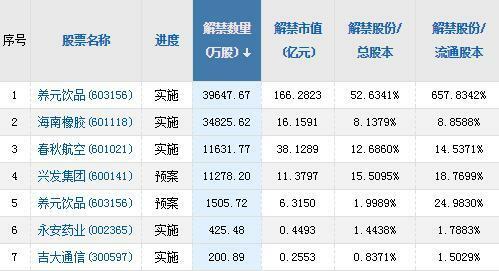 The third round of US trade war negotiations will be held next week, March 1 is the first observation time point, and the more important time point is the Osaka G20 meeting in June. On the whole, structural opportunities focus on counter-cyclical hedging related industries, technology blue chips and stable consumer industries. In the overall warmer policy environment, the spring market in 2019 was ahead of schedule, with foreign capital being the main driver. In January, the net inflow of funds from the north reached 60.688 billion yuan. From the perspective of the sub-industry, foreign capital still prefers consumption (this is similar to 2017), and we believe that 2019 foreign capital is still the allocation power that the market cannot ignore. However, in the short term, the focus of the market is still on Sino-US trade negotiations. The two sides will conduct a new round of in-depth consultations on February 14-15. We believe that it is difficult for the market to start a large-scale rebound before the negotiation results are settled. Quotes. In terms of industry configuration, the technology growth segment benefited from the clearing of goodwill and the success of the science and technology board. It is recommended to continue to pay attention. In addition, the major financial sector that focuses on policy benefits will continue to focus on the subject of independent control and regional infrastructure. Spring incitement is expected to be repeated, and cautiously involved in grasping both ends. “The core of the rebound in the short-term market is still the traditional spring turbulence logic. The main driver of the market is still the risk appetite boost. The current round of wide currency credit transfer is more obvious than before. The market expects to repeat. We still recommend close on the overall position. Keep track of the evolution of relevant risk factors and be cautious. From a structural point of view, risk preference flexibility and defensiveness need to be grasped both, and they are more optimistic about the relative performance of SSE 50 and CSI 500 in the current market style. Market risk preference repair is expected in repeated In the mid-extension, we can grasp the relevant investment lines from three aspects: First, the bank's real estate low-value leading stocks with defensive attributes, gold, utilities, agriculture, forestry, animal husbandry and fishery, oil service, and high-dividend stocks, etc. Performance-supported, highly flexible TMT-based manufacturing industries, and third-term short-term policy-catalyzed areas, optimistic about non-banking, new infrastructure (5G, artificial intelligence, industrial Internet, Internet of Things, etc.). We believe that as various policies such as wide credit are expected to enter the implementation stage, corporate capital pressures and downward pressure on the economy will ease, and the fundamentals may be better than investors' expectations. 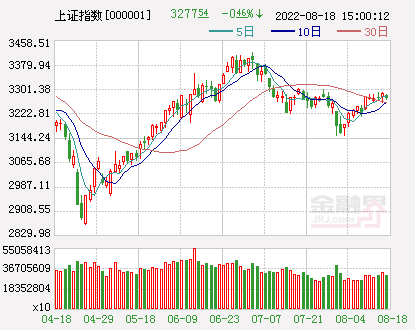 MSCI increased A's shareholding, Sino-US trade negotiations continued, the "two sessions" policy expected to ferment, risk appetite, and stock market liquidity continued to improve. Overall, the current "Wangchun market" will continue to exceed market expectations. Essence Strategy: Spring is getting stronger and the market continues to focus on computers and semiconductors. We believe that the current A-share market should continue to maintain a positive attitude, with global liquidity expectations tending to be loose, economic and financial data improving in stages, Sino-US economic and trade consultations progressing in an orderly manner, market risk appetite is expected to gradually increase, and the spring market continuation is promoted. . At this stage, investors should continue to grasp the window period in which this favorable environment should make a difference. If the market adjusts, it will be actively deployed. Each industry has certain valuation and repair opportunities, focusing on computers, semiconductors, communications, military, and non- Silver finance, real estate, construction, etc., the theme focuses on the integration of the Yangtze River Delta, Xiong'an new district, science and technology board, new infrastructure and so on. Listed brokerages fell sharply last year. Hundreds of funds have bought at the bottom. Wang Lun: 2.11 Trader Morning News Callback can be added! 888.8 billion! A shares sent the biggest start "profit is"